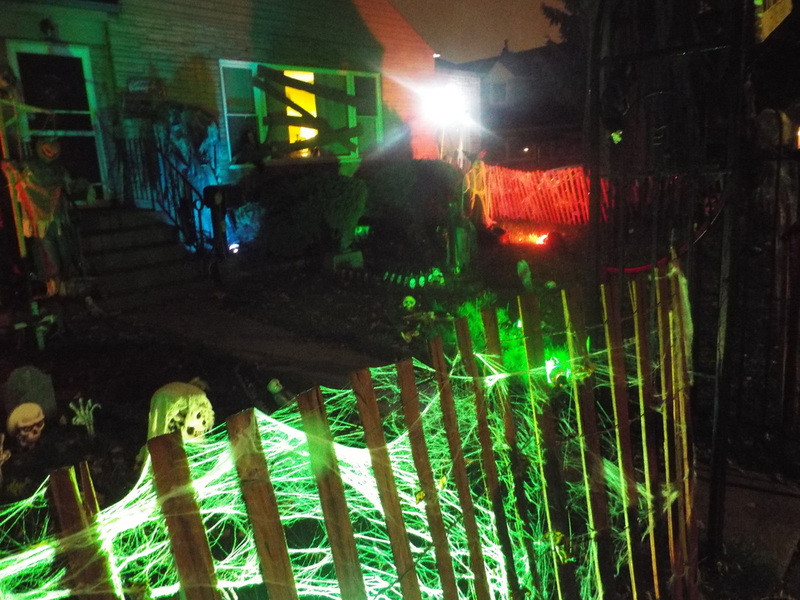 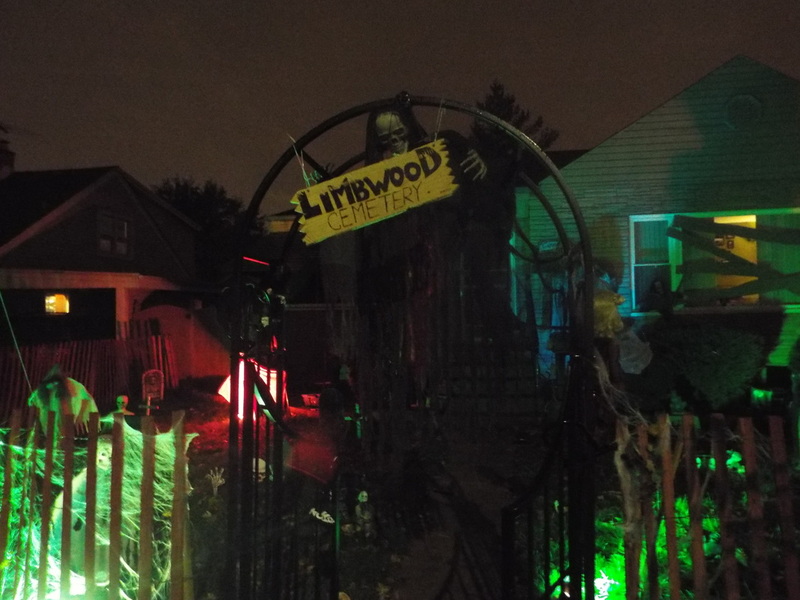 Limbwood Cemetery is a new yard display located in Oak Lawn. We paid our first visit to the display on the last day it was open, so parts of it had already been dismantled. Thus, we weren’t able to see the entire picture, but what we did see looked pretty good for a new setup. In the cemetery itself were several tombstones and figures, all of which were homemade. 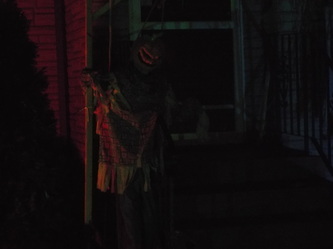 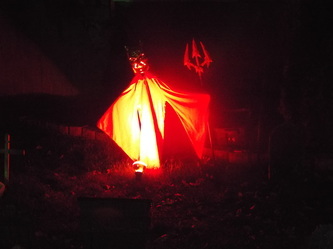 Figures included a scarecrow-like figure, a half zombie emerging from the ground, a Jack-o-Lantern headed figure by the front porch, and our favorite – a devil character with shiny red devil mask lit by some creepy red lighting. 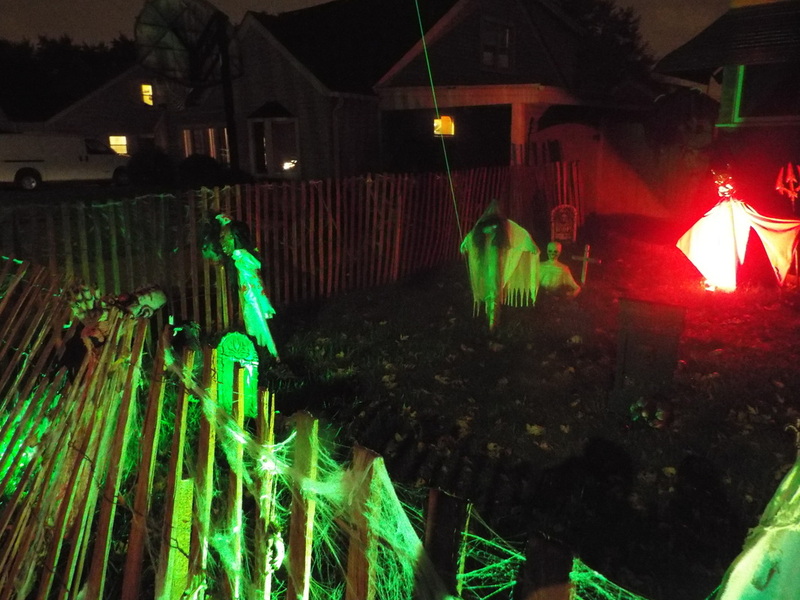 Speaking of lighting, there were several spotlights in different colors that illuminated the display, and although they were not operating when we arrived, we were told that there were a couple of homemade fog machines as well. 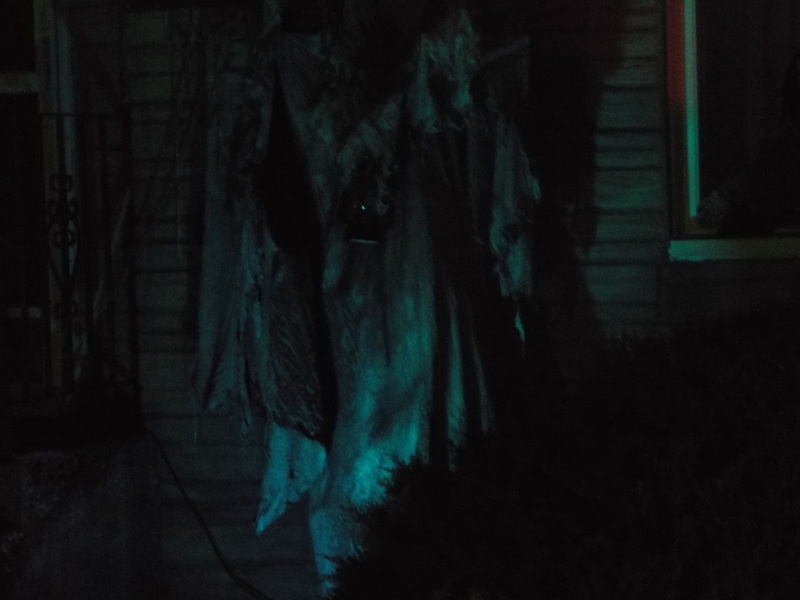 One creepy touch was a small doll hanging from the front cemetery arch. 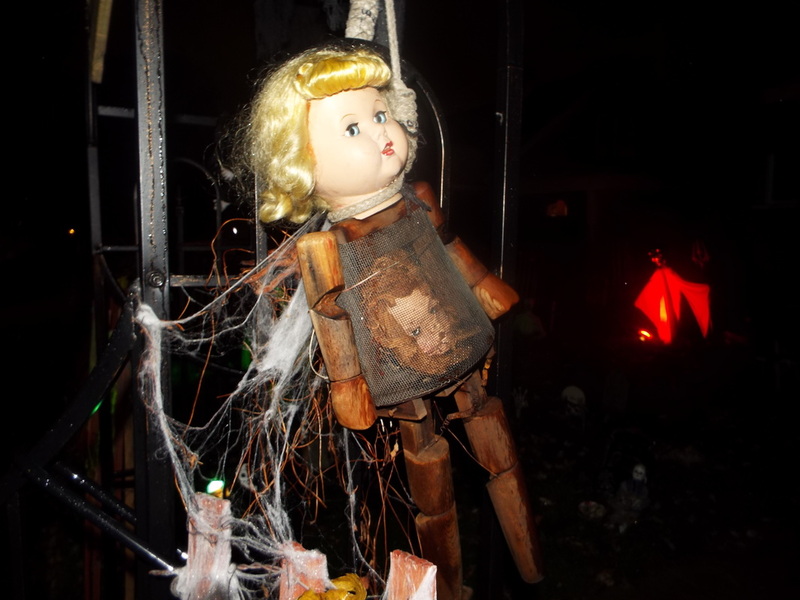 The doll had a normal head and a wooden body with some type of cage in the chest area. Included in the chest was another doll’s head, as if the first doll had eaten another one. 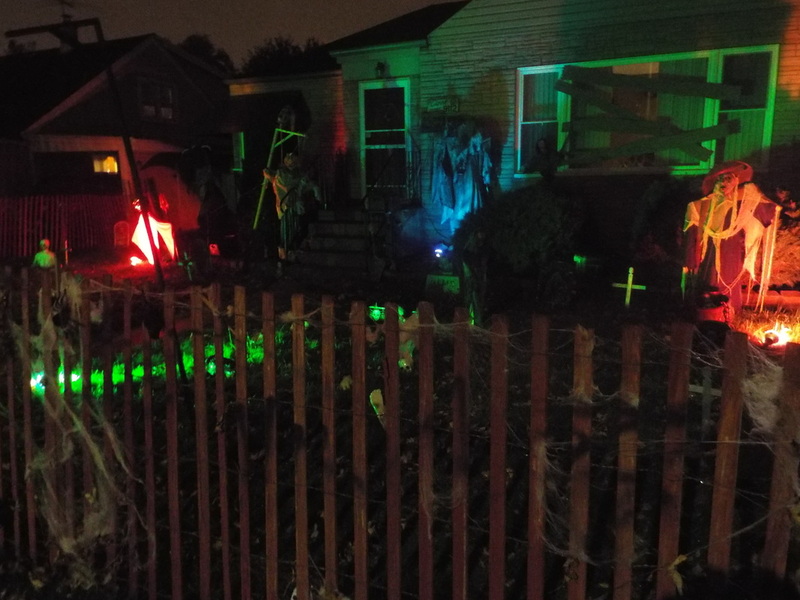 It was something different that you normally don’t see, which was nice. Overall, for a new display Limbwood had some interesting things to look at, despite the fact that it was raining and that the display had suffered from bad weather the night before and the fact that it was being dismantled during our visit. 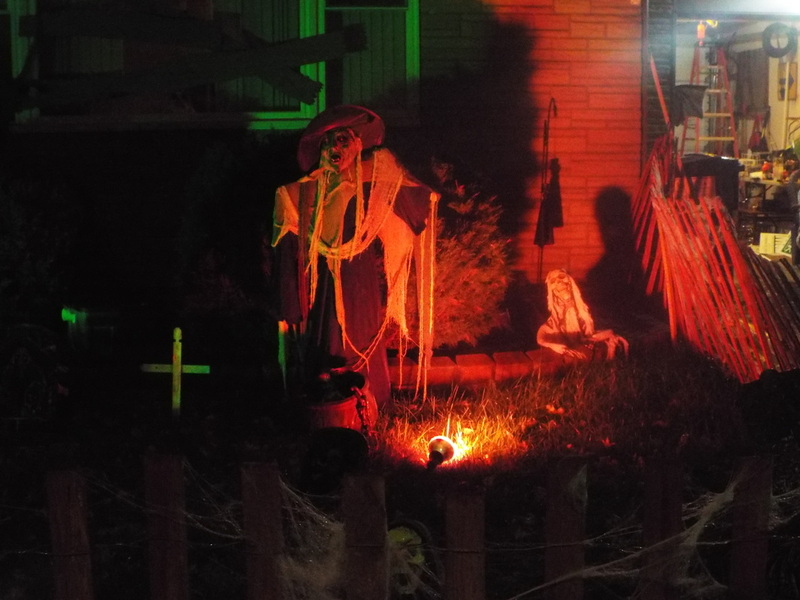 We liked what we saw and we are looking forward to seeing more next year!